Which Coconut Oil is The Best? There are two main kinds of coconut oil: refined and unrefined. Refined oils are cheaper and possess no coconut flavor or aroma. They are produced from dried copra, not fresh coconuts, and the oil typically undergoes various levels of processing, including being deodorized and bleached. Unrefined coconut oil is normally considered virgin (incorrectly labelled extra virgin in the past) and it possesses a light coconut taste and aroma, that will vary from brand to brand. This mostly depends on the freshness of the coconut used and type of processing it was subjected to. Virgin oil is typically made from fresh coconuts, but processing techniques will still vary in determining the product’s quality. As mentioned above, the less processing that is done to our food, the more nutritionally sound and beneficial it is. Therefore, to benefit from the most value, choose a coconut oil that is virgin (unrefined). The nature of all oils is such that it involves processing; oils are not whole, natural foods and do not naturally exist in nature, as shared above. Coconut oil is most commonly processed using expeller- pressed or cold-pressed methods. Expeller-pressed is a mechanical process that extracts oil from seeds and nuts, at high pressure and heat, and is usually used for refined oils. Cold-pressed coconut oils are expeller-pressed in a heat-controlled environment to keep temperatures below 49ºC or 120ºF degrees. Unfortunately, labeling laws are weak in this area and producers may not be adhering to proper cold-pressed standards. This is where it is helpful to learn more about how the brand in question fully processed its oils. Many high quality companies today are paying attention to using fresh coconuts, having a quick turnaround time from picking the coconut to bottling, keeping heat so low that it can be classified as a RAW product, and transparently describing their process. Even though coconut oil is one of the few oils that does not get easily destroyed in the presence of heat, the less heat applied to our food and the less harsh the processing, the better for maximum nutritional integrity. 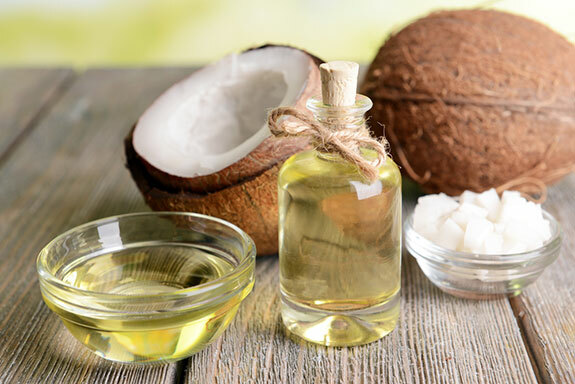 Other factors to be considered by serious coconut oil connoisseurs include: whether the coconut oil was dry or wet-processed, fermented, or centrifuge-processed, as well as the freshness of the coconut and quality of the copra used. A select few oils on the market use the DME method of extraction: Direct Micro Expelling. This process brings the processing to the coconuts, rather than the coconuts to the processing, by-passing the common copra-based coconut industry. Coconuts are prepared, typically right where they grow, by local families for manual pressing. This process tends to ensure the freshest coconut oil and provides the least invasive processing methods possible. It is also the most eco-friendly and supportive of native people’s livelihoods. In certain tropical parts of the world, coconut oil may be hydrogenated or fractionated. These oils are even more refined and should not be used for optimal health. Although the coconut is not a high-risk food when it comes to pesticides, nor is it genetically-modified, it is still best to opt for organic options whenever possible. Whether it is the type of fertilizer used or the post-harvesting applications, there are many reasons why organic is a better way to go for both our personal health and the health of our planet. I will mention here also about the importance of Fair Trade certification when it comes to coconut products, like coconut oil. Our mentality to get the most product for the least amount of money is unfortunately one of the most harmful attitudes when it comes to social justice and environmental sustainability issues. It is time we start to look past our own interests and consider the bigger picture and what is at stake. Cheap final products and trying to drive down prices is normally reflected in more ruthless processing approaches, environmental degradation, and unfair wages and treatment of people who are on the front lines of production. In the context of coconut oil, this is especially applicable tonative coconut farmers. We can become part of solution and embody the change we wish to see by supporting fair trade coconut products. Food and plastic do not mix for optimal health. This is not yet a popular stance in our society, but one that cannot be avoided. Plastics are an environmental disaster all on their own, and given the majority of the plastic comes from refined petroleum products, not something that will ever get the safe stamp of approval. Will one product in a plastic jar harm you? Most likely not, but you have to think of the bigger picture today. It is never about one product and our bodies simply have too many chemicals all around thrown at them. So why not minimize where we can? Every few months or years, we learn about some new toxicity issues related to plastic and its potential to leach various harmful compounds into the food or drink being housed in it. It becomes an even bigger problem when we mix heat and plastic. Seeing that most coconut oils are heated and then bottled, we can hopefully appreciate why glass jars are a big incentive. FINAL TIP: To pick a high quality product, focus on coconut oil that is virgin,organic, processed in the least invasive way, and packaged in glass jars. Focus also on reputable companies who provide fair trade products and accurate, detailed information about their coconut oil. Ultimately, there is no need to nitpick amongst similar quality brands and get overwhelmed by the choices. Find a high quality coconut oil from a company you can trust, feel good about, and is relatively convenient for you to purchase. -You can find more on this article as well as the top 5 brands to buy here.